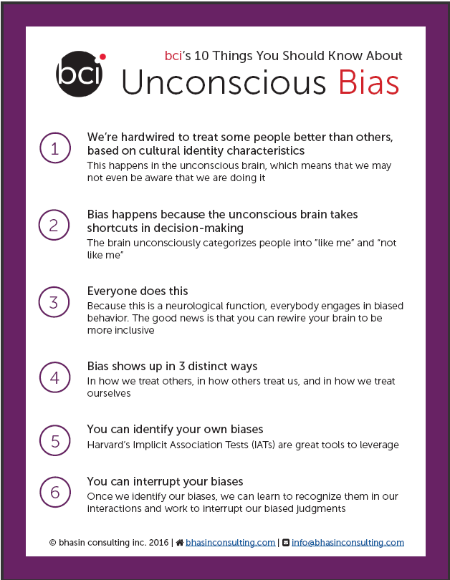 Media Archives – bhasin consulting inc.bhasin consulting inc.
How does unconscious bias show up in our interactions? What can you do to interrupt your own unconscious biases? 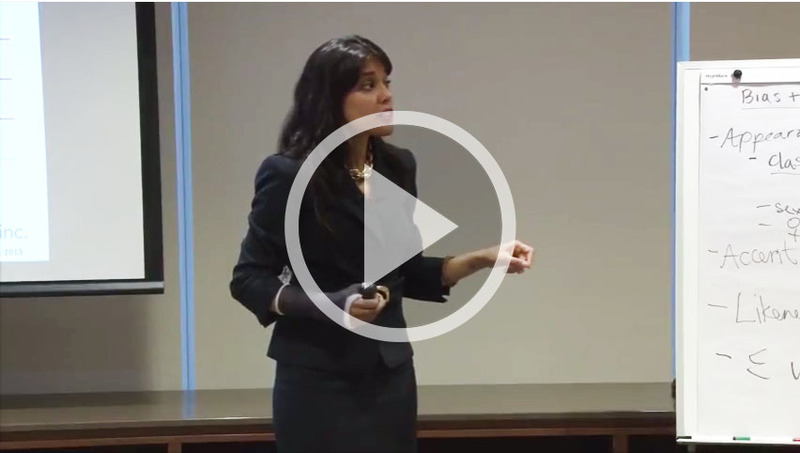 Ritu Bhasin explains how the “work-life balance” blindspot impacts women professionals. “We’ve been successful in attracting and recruiting women professionals, but we struggle with retention.” In 2016, this is a common refrain across sectors – and one that bci encounters time and time again in our work. Why do women professionals actually leave organizations? Watch the video. On June 11, 2016 Ritu Bhasin received the Indo-Canadian Chamber of Commerce 2016 Female Professional of the Year Award, for her work as a diversity and inclusion consultant and advocate. 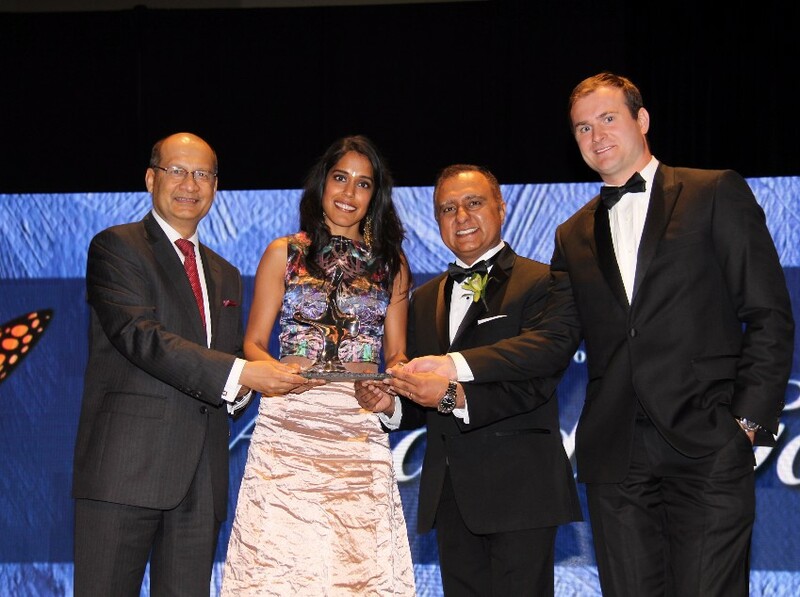 Ritu was honored to be recognized alongside outstanding Indo-Canadian leaders including TD Bank CEO Bharat Masrani; pioneer in Canadian space program Dr. Virendra Jha; and finance expert Geeta Sankappanavar. We’re often told that Millennials possess certain traits – that they lack loyalty to their employers; aren’t motivated by monetary rewards; value work-life balance over paying their dues; are comfortable challenging authority; and want more autonomy in their roles. 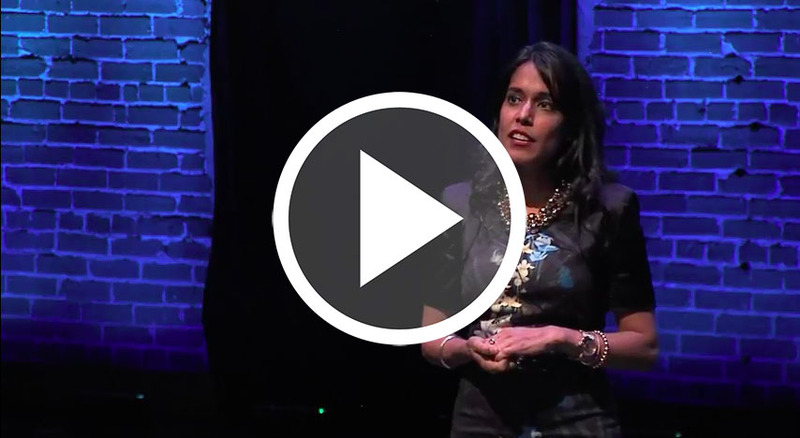 But at this year’s inaugural Millennial Leadership Summit in Toronto, Ritu Bhasin challenged these assumptions by explaining how the experience of having overlapping cultural identities influences the preferences and behaviors of some Millennials and, in turn, affects how they are evaluated. According to Ritu, the generalizations made about Millennials represents a homogeneous cross section – namely, Millennials who belong to the dominant culture. 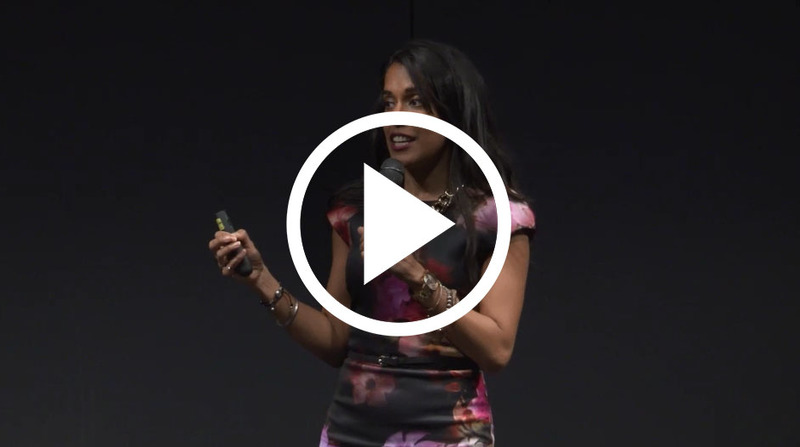 Watch the video to hear Ritu explain: What is intersectionality? How does applying an intersectionality lens create more inclusive performance management? We’re delighted to announce that bci is partnering with the Center for Talent Innovation (CTI) and Jennifer Reynolds, President and CEO of Women in Capital Markets, to produce The Sponsor Effect: Canada, a groundbreaking research study that will explore the sponsorship experience for professionals of color and women in Canada. A leading institution in the area of talent management, CTI (under Sylvia Ann Hewlett’s leadership) has pioneered research on sponsorship since 2010. From CTI’s trailblazing sponsorship research in the US and the UK, we know that sponsorship has the power to catapult careers (see The Fundamentals of Effective Sponsorship), and is particularly significant when advancing professionals of color and women. For the first time in corporate Canada, The Sponsor Effect: Canada will explore the barriers to and solutions for advancing professionals of color and women (and the intersection of these two identities). We’ll conduct research using a variety of methods – including a national survey, focus groups, and one-on-one interviews with professionals from across the private sector. We’re thrilled to be working with some of Canada’s most forward-thinking organizations who have joined us as sponsors for this research – Blake, Cassels & Graydon LLP; KPMG Canada; McInnes Cooper LLP; and TD Bank Group. Opportunities to get involved in this research are still available – for more information, please contact Sarah Israel, bci’s Client Relations Manager:sarah@bhasinconsulting.com. 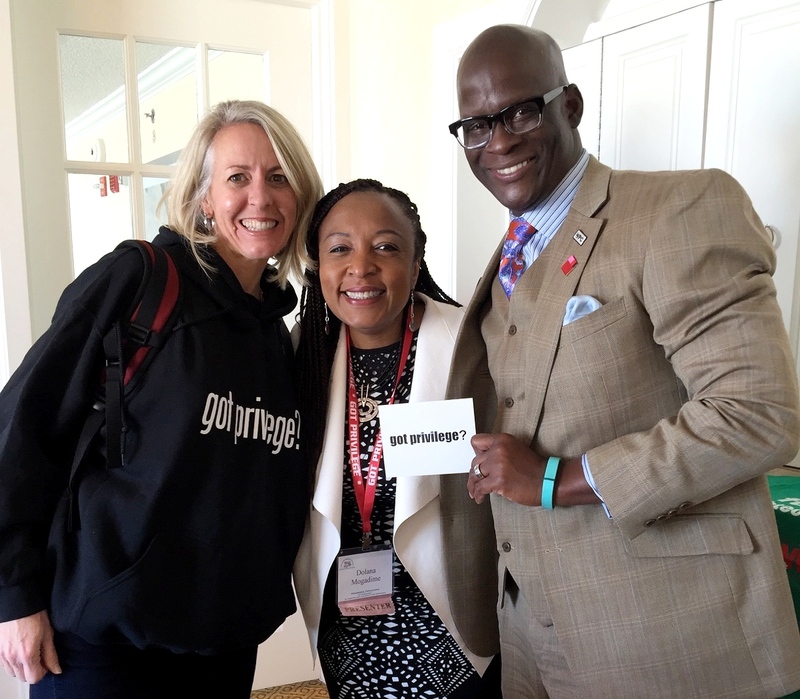 We’re really looking forward to providing you with insights on how to better leverage sponsorship to effect inclusive change within your own organizations. Stay tuned for more! bci is seeking a talented Executive Assistant to join our team. The position is a 14 month contract covering a maternity leave. This exciting role will appeal to a self-motivated, highly organized, and detail-oriented individual who thrives in a flexible and fast-paced environment. You’ll get extensive hands-on mentorship, exposure to leading clients, and access to cutting-edge leadership work.